President Trump has received widespread criticism for his Tuesday comments on the deadly weekend violence in Charlottesville, Virginia, in which he equated the white supremacists gathered to those who showed up to rally against them. 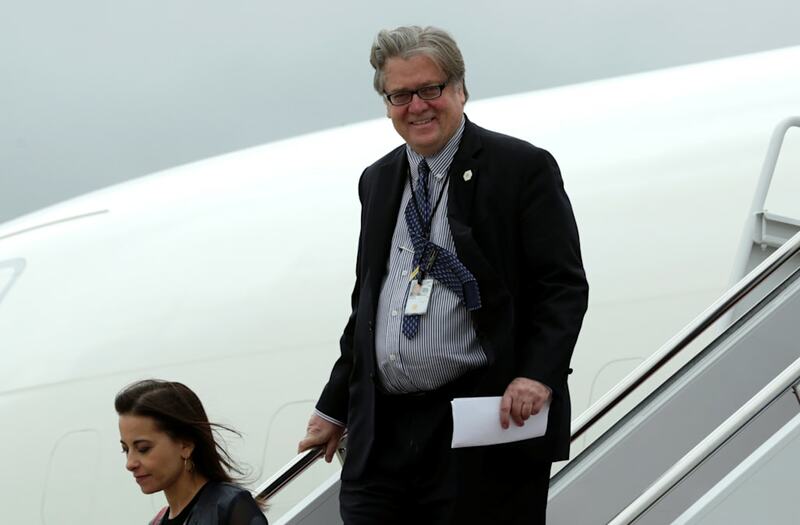 Bloomberg reports that while many spoke out against the president, there was one person said to be pleased by the comments—White House chief strategist and former Breitbart chairman Stephen Bannon. The top aide’s purported approval comes amid rumors of his rapidly dwindling job security.